China is large, fast-changing, and complex — but many analysts seem to forget this when making predictions. In a recent article in the Wall Street Journal titled “Misunderstanding China,” China expert Michael Pillsbury claimed that China is difficult to understand and predict for the West. He states, “To this day there is no expert consensus on China’s economic growth and GDP, the size of its military and intelligence budgets, or even its intentions toward the West.” He is both correct and wrong. He is correct because even among the best experts on China’s security behavior, debates are heated (see here, here, and here), and one can find more diverse and extreme views on China among journalists and the public. But Pillsbury is wrong because he seems to put the blame on China experts themselves. To be fair, it is not easy to accurately understand China. Many Chinese themselves do not fully understand China despite their cultural advantages and local knowledge. Today’s China is hard to fully understand because it is huge, rapidly changing, and complex. That China is huge is probably agreed on by almost all China watchers. But in practice many of them seem to forget this important point when making conclusions about China. For example, when assessing China’s future economic growth, many analysts love to point out that China’s growth is slowing down to around 7.5 percent this year and see this as evidence of China’s coming collapse (here and here). Unfortunately, they seem to have forgotten that China already is the second largest economy in the world and for any large economy 7 percent growth would be a dream number. When was the last time a second largest economy grew at 7 percent? Can the U.S. and Japanese economies today dare to dream about 7, 6, or even 5 percent growth? The point here is simply that China has already become a giant economy and it is time to take it seriously. Another aspect of China that has been ignored often is the fact that China is changing very fast. This means that a lot of China’s problems that might seem serious and difficult to resolve might actually disappear quickly once the leadership has made up its mind. For instance, for years China has been criticized for its serious corruption problem. Many in the West simply reject the possibility that corruption can be curbed by the central government, believing that democracy is the only way to solve the problem. Now everyone seems surprised that China’s anti-corruption campaign is making real progress and shows no signs of slowing down. Moreover, very few in the West, particularly in the media, seem to understand that China is indeed complex. Here “complex” simply means that China does not neatly fit into any existing models of governance such as democracy and authoritarian regime. The simple, linear, and ahistorical view of human development that has become so popular after the “end of history” is now being challenged by China’s real practices. Even Francis Fukuyama himself has changed some of his views in recent years. Now Fukuyama believes that “a strong and effective” state is also important in governance. He even claimed that “U.S. democracy has little to teach China,” as he thought that China’s model of governance is unique. Regardless of what one thinks of Fukuyama’s claims, one thing is clear: using dominant Western concepts to understand China can be risky. Needless to say, we shouldn’t go to another extreme to reject all Western concepts and frameworks in understanding China. That would be equally wrong. To improve our understandings of China, three specific things can be done. First, acknowledge that China might indeed be different (but not entirely different) from the West. There is nothing wrong here as universalism does not mean we all need to the same. 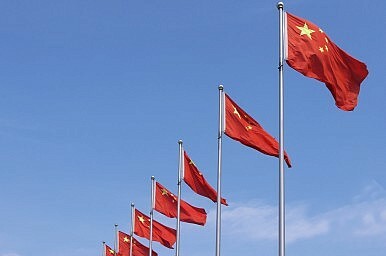 Second, acknowledge the legitimacy of the CCP in China. No matter what you think of the CCP, it is going to be a dominant political force in China for a long time. Third, the media can start by reporting on China on a more balanced basis. Right now most media outlets seem to focus on the negative side of China’s development, which is necessary but not enough. There is no need to praise China, but a balanced view between negative and positive coverage can help readers better understand China. What Could the United States Have Done – If Anything – To Prevent China's Rise?Think Xi Jinping's State Visit to the US Went Well? Think AgainDid the United States Ever Really Have a China Strategy?Intellectual Property, Defense Technology, and the Future of Great Power RelationsHow Does China Really Think About WTO Reform?